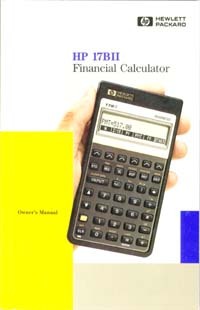 HP 17BII Owner's Manual in case you need an extra or a replacement. Available new or used. Used units show use but are fully usable.